National Healthcare Realty teams with Akos MD for 136,000 s.f. campus in Avondale, Ariz.
AVONDALE, Ariz. — There is a lot of talk in the healthcare industry these days about virtual health and other disruptors of the status quo. Now one of those would-be disruptors, Phoenix-based telehealth startup Akos MD, is adding a more traditional presence to its budding virtual healthcare delivery network. Developed by a team of physicians, Akos launched what it calls a “revolutionary” telehealth platform in 2016 in the form of a mobile app that provides “a new type of virtual practice.” Patients use a mobile device or a self-guided medical station using augmented reality (AR) to measure and upload their health data. Then Akos uses artificial intelligence (AI) to analyze the data and arrive at a preliminary diagnosis, which is then confirmed or modified through a video consultation between the patient and a (human) Akos provider. Last fall, Akos debuted AI-powered, virtual medical clinics inside several Phoenix-area Safeway supermarkets, and it says it plans to have dozens of new locations nationwide by the end of 2019. The firm is also a growing provider of managed care health insurance benefits, as well as a provider of “live” urgent care and other medical services in clinic locations where patients have physical visits with physicians. One such location is slated to be part of a planned two-building, 136,000 square foot medical office building (MOB) campus on an 8-acre site at 19825 W. McDowell Road, just off U.S. Interstate 10 in Avondale, about 20 miles west of downtown Phoenix. The planned Akos Medical Campus is being developed by National Healthcare Realty, a Denver-based healthcare real estate (HRE) brokerage, development and financing firm. The four-year-old HRE firm, which has developed about a half-million square feet of space nationwide since its founding, says it is teaming financially with Akos on the project. Akos will be a tenant in the 68,000 square foot MOB that will comprise the first phase of the complex, offering urgent care services in about 6,000 square feet and telemedicine services in another, similarly sized or larger area, according to Jecoah Byrnes, CEO of developer National Healthcare Realty, which is also responsible for leasing and property management. Akos’ telemedicine professionals at the site will provide services and/or interact with patients in other locations, including various pharmacies and grocery stores. Construction is scheduled to start next month for the first Akos Medical Campus MOB, which will also include an imaging center and cardiac catheterization lab operated by locally based National Cardiovascular Management, a multi-specialty surgery center, and other tenants. It is anticipated that the building will open in early 2020. Including the Akos space, the initial MOB is about 75 percent pre-leased, Mr. Byrnes says. Although the population continues to boom in the cities west of downtown Phoenix, he points out, there have been few, if any, new off-campus MOBs developed there in the past decade or so. That market opportunity is one of the reasons why National Healthcare Realty is finding pre-leasing success, as well as interest from other prospective tenants, he explains. In fact, construction of the second 68,000 square foot Akos Medical Campus MOB could also begin this year if talks pan out with a number of other potential large tenants, he says. It probably also helps to have a high-profile tenant and financial partner like Akos, which received the 2017 Start-Up Company Award from the Arizona Technology Council at its Governor’s Celebration of Innovation. “Akos is starting to attract a lot of national attention, and I think the synergies created in this outpatient campus with their urgent care and telemedicine services, as well as the surgery center, imaging and cath lab, are creating a lot of interest,” Mr. Byrnes says. 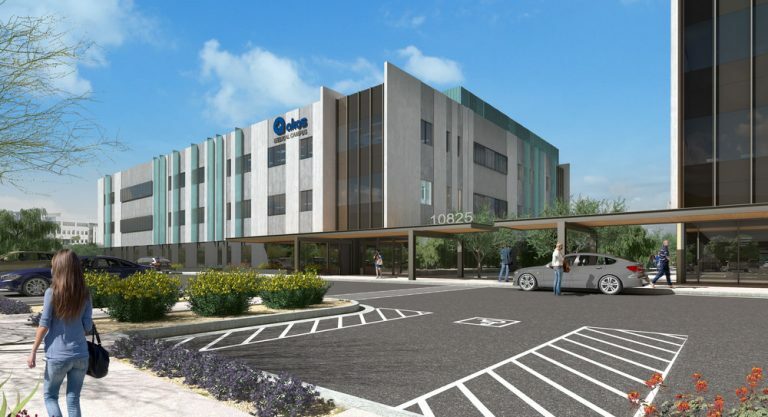 The designer of the Akos Medical Campus is Devenney Group Architects and the general contractor is Venn Construction, both of Greater Phoenix. Providing financing is Arizona Bank & Trust. 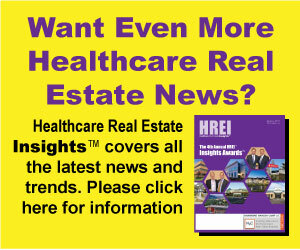 For more information about National Healthcare Realty, please click here. For more information about Akos Medical Campus, please click here. For more information about Akos MD, please click here.